Durango artist Mariah Kaminsky works on a commissioned oil portrait of a family friend Tuesday at her Florida Mesa studio. 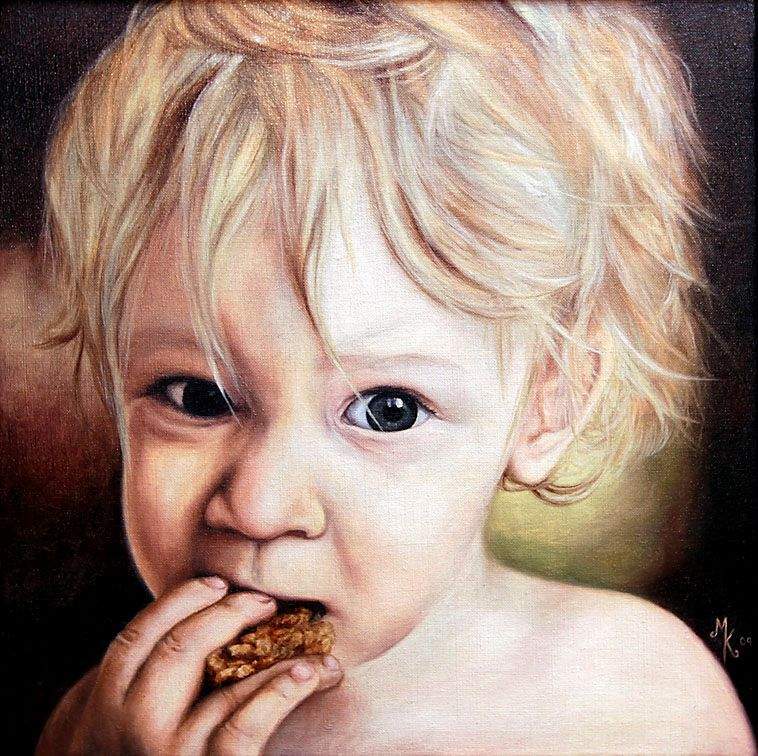 Children, such as one featured in Tylers Breakfast, are portrait artist Mariah Kaminskys preferred subjects. 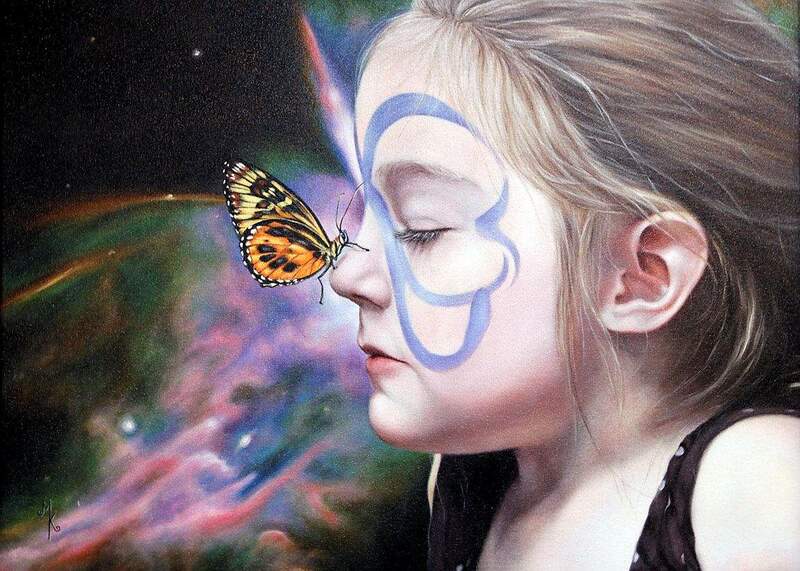 Butterfly Grace is a typically vivid and detailed example of Mariah Kaminskys portraiture. The two paintings were photographically realistic portraits of a young boy and girl, and they were created with great skill and draftsmanship. Yet when the winner of the Peoples Choice award was announced last month at the opening reception of the Salon des Indépendants art show at Fort Lewis College, the artist, Mariah Kaminsky, might have been the most surprised person in the room. A Durango resident for the last nine years by way of Indiana, Kaminsky started out in theater as a scenic designer but eventually came to realize that the art of portraiture was what she truly wanted to pursue. Later on, working with her husband, she capitalized on her talent for scenic design by creating faux finishes for private homes and restaurants such as Cosmopolitan and BeauJos. Between jobs, she sharpened her portrait skills painting from photographs of family members and the children of friends. Depicting youngsters is her preference, capturing their innocence and budding personalities in oil on canvas or linen and finding the essence of their youthful characteristics and individuality. Her work generally is small in size: 8-by-10 inches to 16-by-20 inches, giving them a life-size scale which makes them even more realistic and engaging. Kaminsky was one of six children in her family and may have received her talent and attention to detail from her grandfather, an accomplished glass etcher from Alsace, Lorraine, in France, and from her father, a mechanical engineer. The encouragement Kaminsky received from her midwestern-values family kept her grounded and focused on her passion for art. Although she did minor in art at Ball State University, she opted for a career in scenic design and was accepted into prestigious Carnegie Mellon University. However, when she tried to shift her emphasis to art, she was told she had only been admitted into the theater department, so she left. Having produced her first portrait 12 years ago, she has grown exponentially in her technical facility as well as her ability to see, as she puts it, and also to develop her eye for color. She attributes both gifts to the total-immersion painting course she took in Santa Fe with Antony Ryder. Rather than be intimidated by that masterful artist, she was inspired to reach deeper within herself to obtain the results she sought. When asked what other contemporary artist she greatly admires, she quickly mentions the highly-gifted and diverse painter, Daniel Green. Continuing to study and expand her talent, Kaminsky is anticipating her attendance next spring at the Portrait Academy in Atlanta, and also recently has been admitted into the Portrait Society of America. For more about Kaminsky and to see her artwork, visit mariahkaminsky.com. Each month, Herald contributing writer Stew Mosberg spotlights an influential member of the arts community in La Plata County. 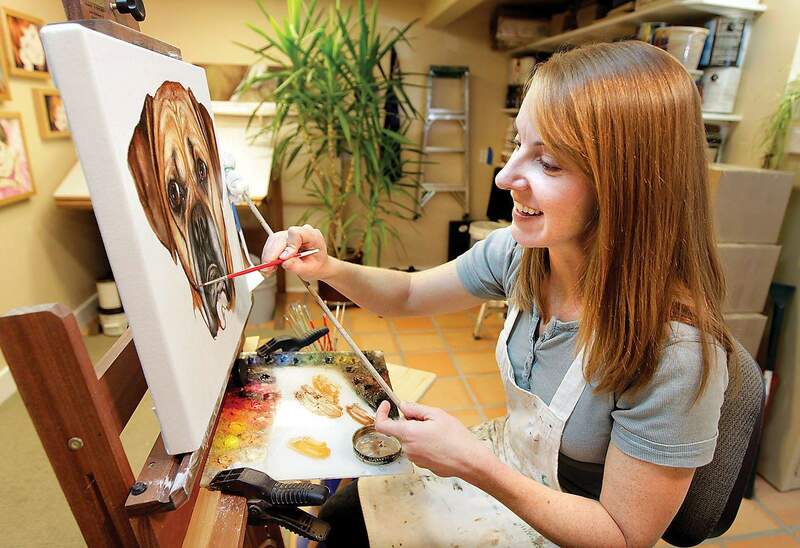 This months subject is Durango portraitist Mariah Kaminsky.